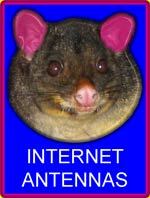 Wireless Internet Antennas - Pinktronix Terrestrial & Satellite Television Installation Services. 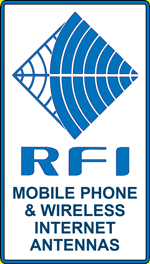 With the choice of mobile phone and wireless internet options on the market today, it’s easy to get caught up in the bells and whistles rather than the hard practicalities of the devices on offer. Many consumers purchase mobile phone platform devices by placing ease of use or little used features ahead of the single biggest requirement of the device namely, communication. If you live in an area of poor reception and you are contemplating the purchase of a USB modem or a mobile phone, PinkTronix cannot stress enough; get a device which has provision for an external antenna. With provision for an external antenna to be attached, another layer of reliability and functionality is available to the consumer. Inductive patches are available which can couple your phone or modem to an external antenna but they are not as efficient as the direct connection. 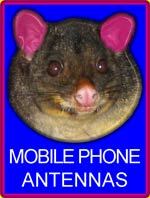 The two photos at the above left are actual screen shots of a ZTE Telstra T165i mobile phone plugged into the makeshift antenna system shown below. 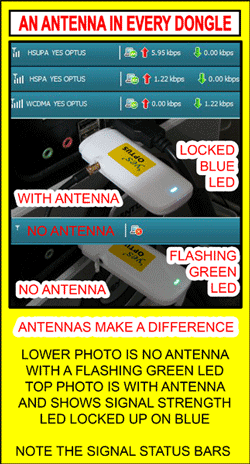 These photos demonstrate the dramatic difference that an external antenna can make to a device operated in a marginal situation. The above yagi is actually a narrowband TV antenna cut for channels 55 thru 75 and mounted only “1.5 metres” off the ground, not on the roof. It communicates with the radio tower on Mt. Kanigan some 40 kilometres north. Not only is this antenna close to the ground, but there is a mismatch of characteristic impedance (i.e., a coupling factor…. sort of like using a Mack truck gearbox to get power to the wheels of a Toyota Echo) as the TV antenna is terminated in 75 ohms and the mobile phone termination is 50 ohms. Breaking all the rules of correct installation and still it works!!! Imagine the advantage that the correct antenna, professionally installed would give you. Desktop modems and combined modem / routers also benefit from the installation of an outside antenna as the illustration on the left shows. This 3G wireless internet system was virtually useless without connecting a roof antenna despite the fact that it came with two external 3G stub antennas for normal operation. The third shorter antenna on the right side of this home gateway is for Wi-Fi. For outside antenna use one of the stub antennae is removed and a larger external antenna is attached via cable in its place. 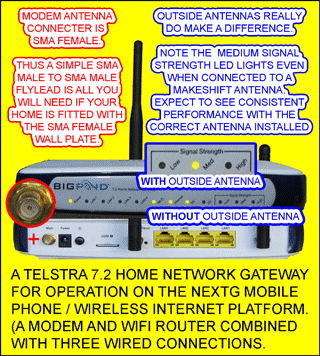 Note that the antenna connection on the modem is SMA female. This is a defacto industry standard. If your outside antenna is terminated in SMA female at the wall plate in your office, all you will need is a simple off the shelf SMA male to SMA male patch lead to hook up. No adapters necessary. Though only medium signal strength is shown in the example, this modem often flags full strength signal acquisition, despite operating off a less than perfect antenna installation with a tower over 40 kilometres distant. This NextG installation has absorbed the otherwise productive time of many a callow youth and has been used for modern gaming, which is a pretty fair test of speed by any nerds imagination. Properly installed and with the right plan these 3G wireless modems will be equal to or better than many other services “in the practical sense” as the Telstra speed comparison chart on the right shows. Also, given that these “theoretical” speeds are being attained on the 3G platform and knowing that 4G is just around the corner it is hard to justify a whole new static network when there is so much else on offer. The theoretical maximums could become everyday real speeds for many rural townships should the NBN money be spent in the upgrade of wireless instead of catering to a city elite by digging up the footpath. 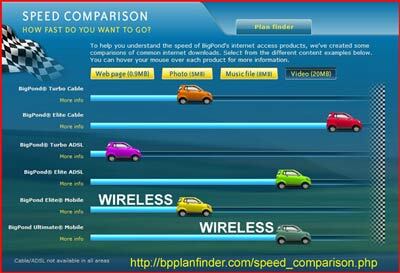 See http://bpplanfinder.com/speed_comparison.php for the speed comparison test on line. Will An Outside Antenna Work For Me ? As a general rule of thumb, if you are getting half decent operation of your mobile phone or wireless internet without an external antenna, “in your house”, you will get perfect operation with an antenna installed to your roof or a longer guyed mast. If you are getting functional but intermittent operation of your device “at that special place” on your property, chances are you will get “reliable for clear weather conditions” operation with the correct external antenna. Make your dongle a blue light district with an antenna installation from PinkTronix. Watch as your modem boots up on the native protocol and immediately trains to the highest possible data transmission standard as your dongle asserts its dominance in the I.T. jungle. About the only thing left now to weaken your performance will be cell congestion, system back haul or contention ratios for the site you wish to visit. Cell congestion and back haul bottlenecks can be identified by visiting a known fast loading site at different times of the day and noting the download times in conjunction with your signal status bar. If you have a rock solid signal situation, (typically after a PinkTronix antenna installation) and your communication speeds are all over the place it is probably because your Telco’s infrastructure is not up to the traffic. If this is the case you should complain long and hard to your Federal member of parliament about the money being wasted on the National Broadband Network and ask that it be directed to wireless technology. Given that 4 G is now knocking on our doors one can only wonder just how much more speed we would need if the wireless world were upgraded to actually work at design capacity…..with immediate benefits to the vast majority of the population. Care When Connecting The Antenna Fly Lead To The U.S.B. Modem. Take care when inserting the plug on the antenna fly lead into the socket on the USB modem. Connect / disconnect with a straight push or pull and absolutely no sideways motion. It is safest to do this with the dongle unplugged from the computer. You should feel a firm but unforced capture as the connecters mate on the detents.